It has an intrinsic and enduring melancholy beauty that surely resonates even with listeners who know nothing of the song’s tragic connections, and its lyrics, though highly literate, still touch the universal. From coffeehouses to arena stage, it’s easily Joy Division’s most covered song. Here’s a roundup of several artists trying their hand. 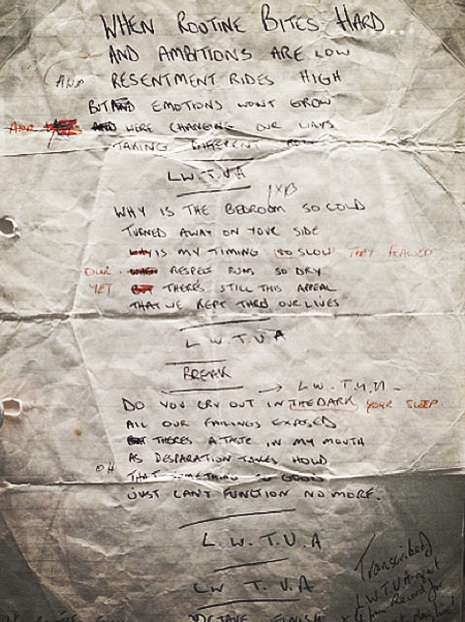 via Ian Curtis’ original handwritten lyrics for ‘Love Will Tear Us Apart’ | Dangerous Minds.